On Monday morning, May 19, Dorothy Falco chose a rock on the bank of the East River, opposite from her home on Lower Allen Road near Crested Butte South, which would serve to gauge the rising water. By mid-afternoon her rock was submerged. Falco and her husband had already mobilized against the rising torrent. Pallets piled with 60 sandbags each sat in the driveway and a clear plastic skirt covered the bottom layers of logs on their home. They had moved nearly all the first-floor furniture to the upper level and had made preparations in case evacuation was necessary. Warm temperatures and a record snowpack in the high country have combined to make many people nervous, especially those living near the valley’s rivers, and has the Town of Crested Butte and Gunnison County making plans for its response to an emergency. “Last week we met with the National Weather Service (NWS), so we kind of knew that we would get a rise coming our way. We’ve been preparing since February, making the flood plan and organizing all the different people we’ll need in an emergency,” says Crested Butte town manager Susan Parker. Then Monday morning the NWS issued a river flood watch “because our forecast model showed that the East River at Almont was ripe for going over its banks in the middle of the week,” says Jim Daniels, a meteorologist with the NWS in Grand Junction. Just after midnight Tuesday morning, May 20, the river level at the USGS gauging station on the East River, just below Cement Creek, rose to 2,530 cubic feet per second, breaking the old record of 2,470 cfs set during the runoff of 1996. The overnight conditions on Coal Creek, which cuts through the heart of Crested Butte, saw a similar rise. By Tuesday morning, the East River flood watch that had been issued for Almont was elevated to a river flood warning for a large portion of the East River corridor, says Gunnison County emergency manager Scott Morrill. “A watch means that [a flood] could happen and a warning means that it’s going to happen,” Morrill says. The escalation prompted the use of the “reverse 911” warning system at approximately 5 p.m. for people living in the area, the second use of the system this spring. The first one was the previous Friday for those living in, or near, Almont. According to the Flood Plan laid out by the town, there are three major events brought on by swollen rivers: flooding due to an excessive amount of water in the river, flooding that is caused by debris that blocks the river channel, and major erosion that can occur along the river’s banks. For Dorothy Falco, it is the erosion that has removed a wide swathe of her yard and stripped the soil from under trees that once grew at the barrier between her house and the year’s run-off. Now those trees are in the water. “Over the years, I’ve lost probably six feet from my property because of erosion, and this year it’s already almost cutting under the berm,” she says, pointing at a rampart-like mound that has surrounded the property since she covered an old line of sandbags with dirt and grass. Not everyone living on Lower Allen is scrambling for sandbags, however. Dan Ewert, who worked as the snow safety director at Crested Butte Mountain Resort for 15 years and has lived on the East River not far from Falco’s home for the past 30 years, isn’t convinced that all the preparation is warranted. While Falco’s home is built on a concrete slab in a low-lying area of Lower Allen Road, Ewert’s house is built on a raised foundation of stone and sits high enough to be out of reach of a moderate rise in the river level. Instead of flooding to his house, Ewert is concerned that the river could grow beyond the capacity of the channel and reroute itself through the neighborhood. In the town of Crested Butte, the focus has been on preparing a response and taking preventive measures against a potential breach of the bank, like filling sandbags and staging them in the parking lot at the corner of Elk Avenue and First Street and other places where a breach is possible. These areas are marked on a map of the 100-year flood plain that hangs on the wall in the town’s Emergency Operations Center at Town Hall, along with four highlighted areas that could flood and seven areas at risk of erosion, mostly near bends in the river’s route. 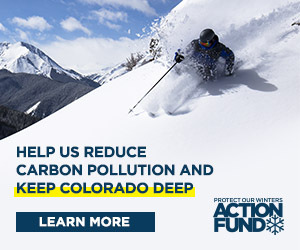 Because Coal Creek is unregulated above Crested Butte, there is no way to dampen the effects of what comes down the mountain. Parker says some of the measures the town has taken are training local law enforcement in swift water rescue, filling a vehicle with all of the equipment needed to take action in an emergency, formulating a flood plan and compiling lists of people to coordinate necessary services like communications, emergency shelters and food. There is money, up to $1,000, available from the county for reimbursement to homeowners who have flood insurance and took measures to protect their property from an imminent threat of flooding by purchasing sandbags or other means of mitigating the damage. “But a flood event has to happen and the local government must declare flood conditions for the area, and the house has to be threatened to get that money,” says Morrill. For more information on that reimbursement program, people can contact the county office at 641-0248.